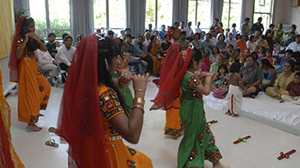 The Hindu Cultural Center hopes to provide a variety of programs to enrich, cultivate and develop cross-cultural understanding and self-awareness. Day and Time: Sunday 2:15 - 3:45 PM. Children ages from 5 -16 and Adults. Donation of $250 for whole year including books and materials. 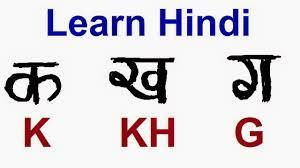 Courses are staffed by experienced language teachers who are members of Hindu Cultural Center. HCC Community & Cultural Center is especially happy to serve members of the Indian American community and welcomes all others interested in learning more about Indian culture. HCC Community & Cultural Center holds yoga, prayers, discussion groups, cultural events, free medical clinics, and much more. HCC currently offers Classical Kathak Dance Lessons with Rachna Agrawal. The HCC Youth Council was established to satisfy the increased need from our Indian American youth to have a place where they can openly discuss their experiences in straddling two different cultures. Our HCC Youth Council is headed by Anubhav Dhar. For more information, please to to Youth Council Website. Over 200 people participate yearly, attracting greater and greater talent. The program teachers and choreographers spend endless hours preparing their students and encouraging them to excel. HCC's President, Renu Vij, started this community festival in 2007 in order to showcase the beauty within our Indian culture and to bring our community together, as Americans celebrating their cultural heritage. Expect Indian cuisine, jewelry, clothing, dance, music, henna artistry, yoga, Ayuvedic consultations and more! Watch for this Fall Festival! HCC plans for the future to add more language classes, dance classes, and music classes. Copyright ©2017 www.hinduculturalcenter.org. All rights reserved.